Do you think that your food alone can attract reputed customers to your esteemed restaurant? Definitely the answer should be a ‘no’! Then what could be the back-up elements that should follow? Ahh yes, people counts on how you have furnished the premises and indoors of your restaurant. Because the whole structure of any building becomes irrelevant if there is no provision for relaxed standing, sitting or even laying postures. As far as the hospitality industry is concerned, the creation of a welcoming atmosphere plays a vital role in maintaining high customer rating. This really matters when a hotel offers lodging, accommodation, and leisure services. 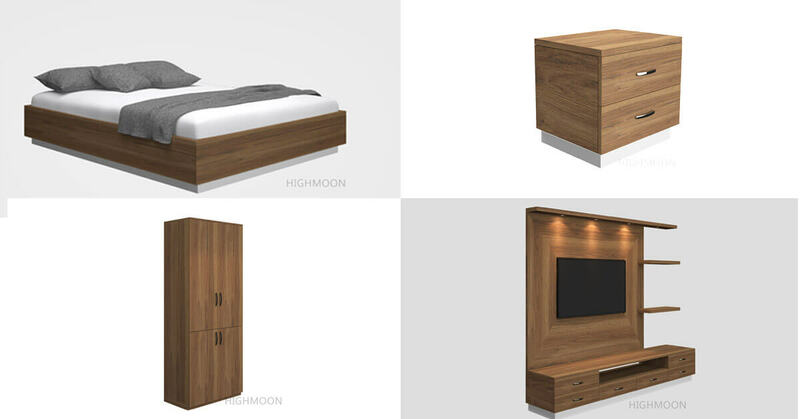 Highmoon is a first-grade furniture company that offers the resplendet hotel furniture in UAE. Shifting the gears of modernity, the whole hotel furnishing trends have changed a lot in such a way that restaurants are furnished within the broad spectrum of a creative package. For a typical full-fledged restaurant, it demands the furniture to be included in a categorized package, which can be classified as: hotel furniture, room furniture, reception desk, outdoor furniture, and banquet furniture. And you can reassemble this package as per your hotel structure and also future expansion possibilities. It depends upon whether you can a lodge facility, vast outdoor spaces, provision for separate program spaces etc. Create your mesmerizing memories over a cup of coffee! We have the best decorative designs of coffee tables which can attract more and more customers who prefer spending their good times in a leisurely mood. We have double coffee tables and family tables! Sit back and relax to enjoy the ultimate dining experience you can have in the city. We have a unique collection of branded dining tables to celebrate the vivid range of foods as per your different preferences. These light-weight tables and chairs are flexible enough to relocate easily and fit into any space with due comfort in your hotel’s peak hours. Every hungry customer should be treated with the right etiquette. With our princely crafted reception furniture, receive your customers with elegance. We have a huge variety of armed chairs and colorful sofa sets for the reception lounge and waiting area, with ample-length books shelves, TV stands, and newspaper tables. Keep your office room highly official setting it up with our perfectly shaped office tables, wooden chairs, desktop tables with storage capacity, and wooden/steel storage cabinets. Arrange your official documents in comfortable order. Create extraordinary relaxation moments for your hotel guests with our exclusive collection of outdoor furniture. It would be great if you can elevate the appearance of your hotel’s outdoor area on frequent intervals to entertain more guests over time. Maintaining the outdoor area by cleaning, clearing and trimming the shrubs or bushes on a regular basis alone will not be enough. You can ideally furnish the area with different ornamental garden furniture. We are one of the trusted sources of such beautiful furniture which range from armed chairs, and outdoor sofas up to polished benches made of solid wood. If you have a lodge attached to your hotel, you will need identical furniture for each set of differently priced rooms. Gift your inmates the most luxurious stays with our royal wooden coats (models with and without storage available), mirror-tables, wooden table, wooden chairs and wall shelves. Most of the restaurants nowadays will be having banquet and conference halls. We do provide adequate furniture for the same in diverse designs. Our conference-hall furniture include wooden/glass dais, L-shaped desk, armed leather/wooden chairs, projector stands, and TV stands. And our banquet furniture collection features wooden serving tables, family dining tables and tables with varied storage capacities. Our kitchen furniture extends from long-wooden tables up to wooden storage cabinets. So what are you waiting for? Rush to Highmoon, purchase in bulk and raise your hotel into another grade!